Some PC gamers have been enjoying the beta version of Skullgirls. Inside you will find a short team combo featuring Peacock and Squigly. 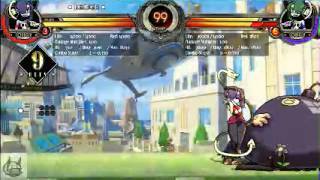 Alexis Rivera has been posting a decent amount of Skullgirls combos from the PC beta version of the game. The one above showcases a 15-hit team combo with Peacock and Squigly. The damage done is 7.6k.